i am in love with this month's topbox! i thought this was a brand under avon but it turns out that it's a brand sold through avon. i think. in any event, these mini nail lacquers are among the cutest products i have ever seen. based on the card included in the topbox, it seems as though everyone received the same colours - the violet femme shades: violet daze and tickled pink. the tickled pink shade reminded me of the essie nail lacquer in neo whimsical, which i received in my february glossybox. upon swatching the two shades, tickled pink is much brighter. however, similar to neo whimsical, tickled pink required 3 coats for opacity so i am not crazy about the formula. the violet daze shade was opaque in two coats and is an absolutely beautiful shade of purple with a hint of shimmer in the polish. the colour is quite complex and i really really like it. verdict: mark is not a luxury brand but, regardless, i am really enjoying these mini nail lacquers. i love that you can get two shades at a low price and the size is perfect - especially since i don't think i have ever finished a full size nail polish. 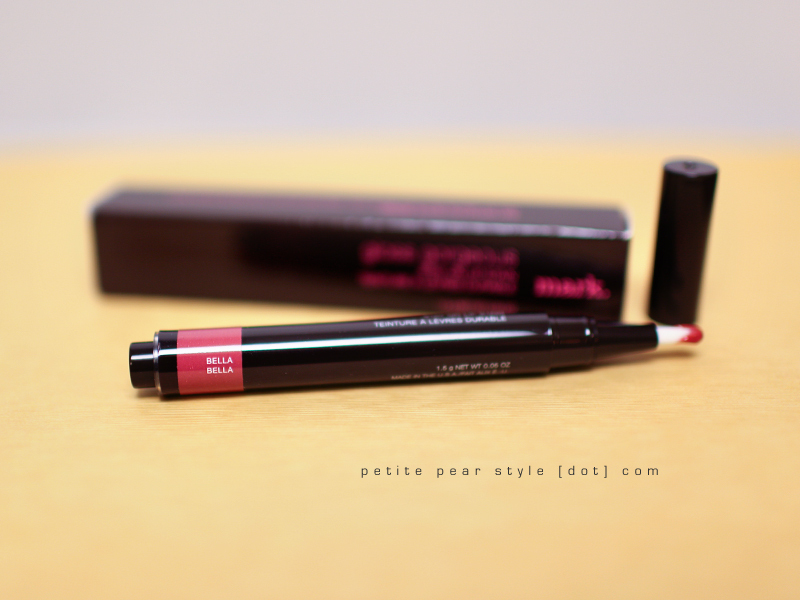 i would repurchase this product... except i don't think there are many other shades (if any). yay, make up for ever!!! i have never tried mufe but i hear about the products all the time on youtube so i was excited to receive this... even though it is a relatively unexciting eye make up remover. the product is described as a gel but i found the texture to be more like a cream. verdict: i used this the same night i received it and i really love it. it was very gentle and i think it works a little better than the one i am using now so i will consider purchasing this when i finish up my current product. 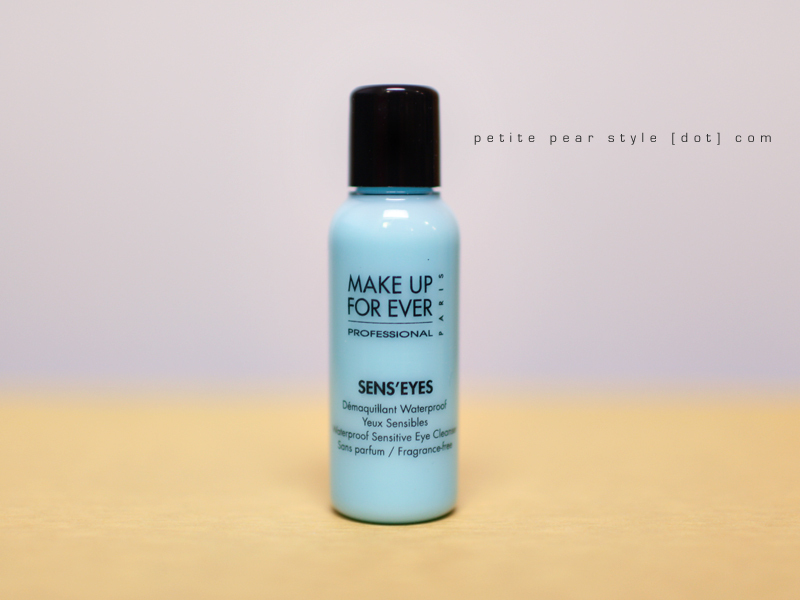 it is more expensive but i don't wear eye make up all the time anymore so i think the bottle will last quite a while. i was a little worried when i saw that the shampoo & conditioner duo was for colour treated hair... owing to my recent experience with the shu uemura shampoo. 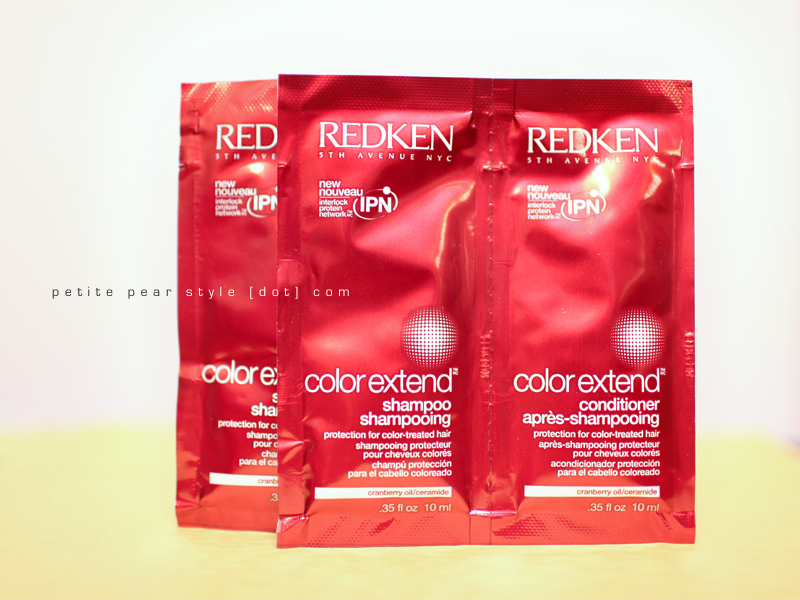 despite this, i still tried the redken duo and ohmygosh my hair feels absolutely wonderful! i like the smell of the shampoo and the smell of the conditioner is alright too. i used an entire shampoo packet and half a conditioner packet. oh, but i was a hot mess trying to open these packets in the shower. verdict: i have not decided if i'll repurchase this. i think the price is fairly reasonable so it will depend on how i feel (more like if i will remember) after we finish our many bottles of shampoo under our bathroom sink... and also whether i can find a salon close by that sells redken. i have a love-hate relationship with lip stains. i absolutely love the look but i find them so drying - they really do a number on my lips. nevertheless, i was excited to receive this product. it swatched beautifully and i liked the pen clicker dispenser. i called this a plum colour in the video but it's more like a cross between plum and berry - i don't wear these shades a whole lot so i find them difficult to describe. verdict: i wore this lip stain / gloss over my revlon lip butter in fig jam and i think i will need to purchase more of these! they are super moisturizing, not sticky, and fade to a very nice stain, just as advertised. i didn't have to reapply the product often (maybe twice today) and after i washed off my make-up, my lips were not all dried out like they get with other lip stains. one thing i do not like about this product is the smell - there's this weird medicinal / menthol scent that is not appealing. it goes away after a little while. this was a bonus health & beauty product that was included this month in honour of topbox's 6th month... and a generous sample at that! i was happy to receive this even though it is not a high end sample. 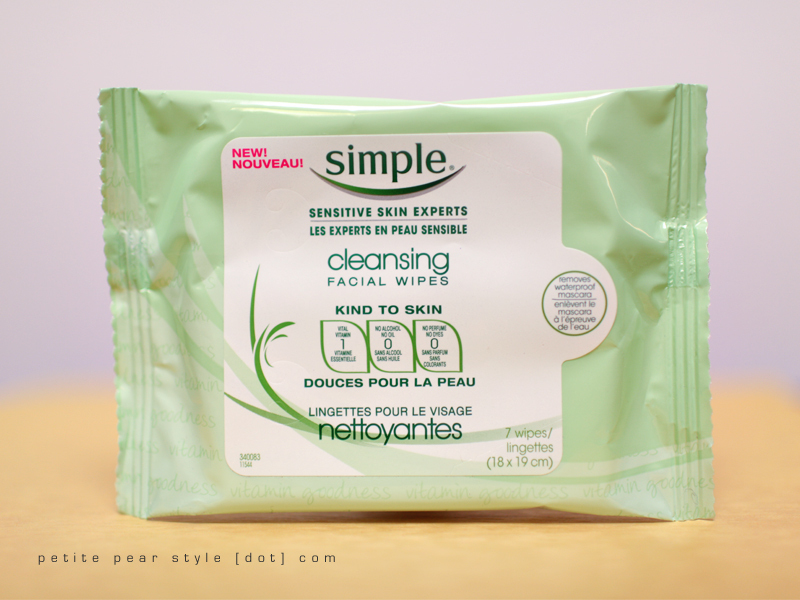 facial wipes come in so handy plus simple is a very well reviewed brand from the uk. i did a quick google search and the cloths are available at walmart at a very reasonable price (around $7 for 25 wipes). i believe these are also available at some shoppers drug mart and loblaw locations. verdict: these did a great job removing my make up but i found them a little rough compared to the kaia naturals cleansing cloths. nevertheless, i would consider repurchasing these when i'm finished using my other cleansing cloths. i am very very happy with this month's topbox! while a few of the brands are not what i would consider luxury samples, i still feel like we got good value in this box plus i get to try a few brands that i have never tried before. love it!!! anyway, if you received the march topbox, i would love to know what you got! It looks like you got a bunch of stuff with Top Box. I see that you also have a subscription with Glymm. Which beauty subscription box do you like better? if i had to choose, it would probably be topbox. i think topbox is more consistent and actually considers feedback from its subscribers. plus there's a waiting list so i feel like it's a little more exclusive... haha. that being said, i still really like glymm - i use the samples from my glymm boxes all the time. i also love the glymm beauty boutique and the points system. planning to keep both for now but i'm also subscribed to glossybox so i do want to cancel one of them eventually.